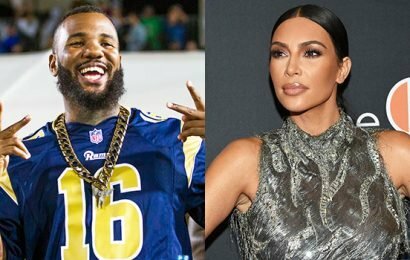 Even if the whole world moved on from Kim Kardashian dating rapper, the Game back then, there seems to be one person who is yet to get over it, and that's The Game himself. He got very graphic about his sexual history with Kim Kardashian West on a new track, and even includes an apology to Kanye. The rapper held a listening party Thursday night for a new album which includes a song with these lyrics -- "I held Kim Kardashian by the throat, n***a. I made her swallow my kids until she choked, n***a." The lyrics are gonna be a big deal -- not just because Kim might be pissed, but because Kanye will almost definitely go nuclear. We already know he doesn't take kindly to other dudes talking about his wife ... especially in a sexual manner. Last year, he blasted Nick Cannon for doing it during an interview, and called out Drakefor not squashing speculation she was Keke in "In My Feelings." Game's lyric about Kim is followed by the line, "I should apologize cause Ye my folks, n***a."